"American Idol" Results earlier tonight showed all around artist MacKenzie Bourg as the one who got eliminated from American Idol Farewell Season to everyone's surprise. 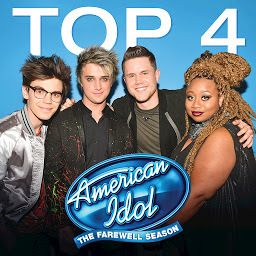 I thought there would be an all-male Top 3 'coz I wanted La'Porsha Renae (who was in the Bottom 2 this week) to get the boot, but she's staying with 2 other boys, Dalton Rapattoni and Trent Harmon. But it's quite not surprising though since MacKenzie was only a wild card finalist. How about you? Do you think it was the correct Top 3? The 2-part American Idol Season 16 finale is already taking place next week, a month earlier than previous seasons' finales. Of the Top 3, only Trent Harmon never landed in the Bottom 2. But I would stick to my favorite since the very beginning. Some don't like Dalton, but I want him to win this farewell season of American Idol.